The Old Masters’ Secret Drawing Tool! FREE SHIPPING inside the USA! And discounted Priority Air shipping WORLDWIDE! Shipping details | Money Back Guarantee and 1 Year Warranty! 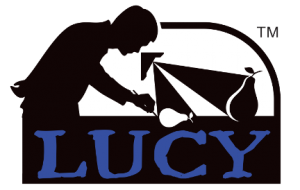 The LUCID-Art and LUCY are a much improved versions of the classic camera lucida drawing tool, which has been used by artists and Old Masters for centuries. When you look through the view hole, optical mirrors create a transparent “ghost” image of the scene in front of you reflected down onto your canvas or paper. Just draw or paint over the reflected image to get the correct perspective, foreshortening, proportion, position, overlap, shape. Thus, leaving you more time to develop your art the way you want it without being frustrated by the technical elements. 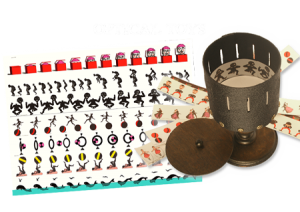 Camera Lucidas may not work as well with bifocals, trifocals or progressive lenses More Info. The LUCY head is injection molded in California, USA with fiberglass-infused polycarbonate. All optics (mirrors and filters) are shatter resistant acrylic glass. 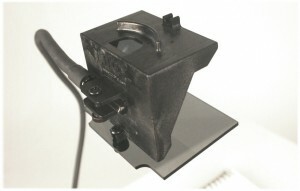 The clamp is made from extruded aluminum with free-spinning rubber covered grip to keep your table protected. The flex neck arm is 2 feet long by 10mm thick and made from strong lightweight steel with a black skin-like rubbery coating. The LUCID-Art Camera Lucida is a high quality art tool made in California, USA with strong light weight aluminum alloy with a powder coated finish. All the mirrors and optical filters are shatter proof acrylic glass. 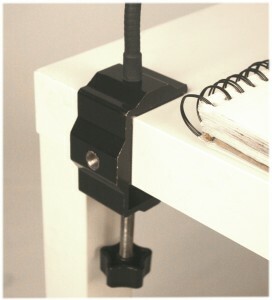 It comes with a powder coated attachable steel clamp that secures it to a work space. You may be asking: “besides the cost, what is the difference between your two camera lucidas?” Well, the biggest difference is the size of the image. 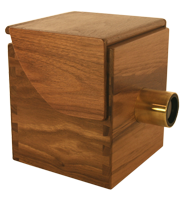 The LUCID-Art camera lucida’s image goes up to 20×37 inches, while the LUCY camera Lucida has an image of 19×27 inches, which is still large, just not as large as the LUCID-Art camera lucida. 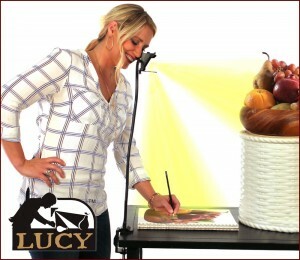 Along with the size of the image, the LUCID-Art also has a larger magnification when enlarging photos with the photo projector: up to 4x enlargement for the LUCID-Art and 3x enlargement for LUCY. The LUCID-Art camera lucida is also just nicer in all aspects as you might expect from the cost difference and the way they look. It is supported by a solid mechanical arm that is steadied by a second diagonal cross support arm; thus, eliminating wobbling and giving you the most stable image possible. Plus the LUCID-Art works with the optional Drawing Board with a tripod mount that makes working out in the field easier. 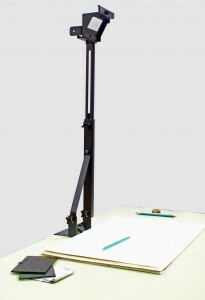 The LUCID-Art’s drawing board turns your standard camera tripod into an easel and has a special connecting point that is designed to attach to your LUCID-Art camera lucida. 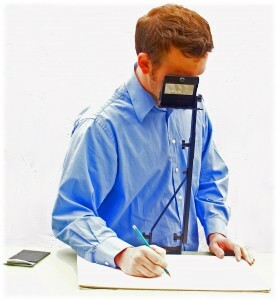 Most people get the LUCY camera lucida because it is a great deal for what you get and the added flexibility of being able to use it while standing, sitting or at an easel. 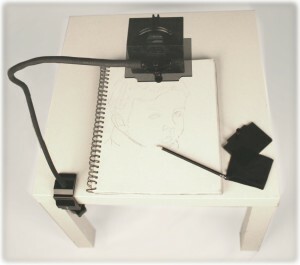 But if you want the very best, or you need the larger image or drawing board, then get the LUCID-Art camera lucida.